Many companies can't predict which customer they will retain or which customers will increase their spend. With predictive analytics they can. 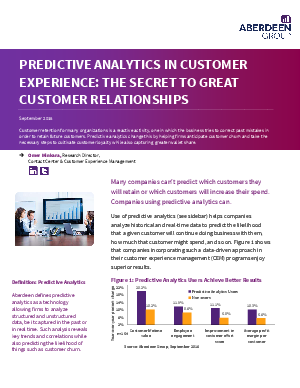 Establish timely and accurate insights into customer behavior. Empower employees to do their jobs more effectively.